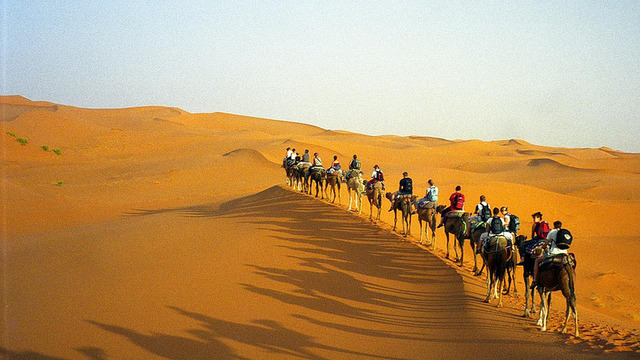 Discover the Moroccan Sahara: Berber kasbahs, remote sand dunes, camels and beautiful gorges. 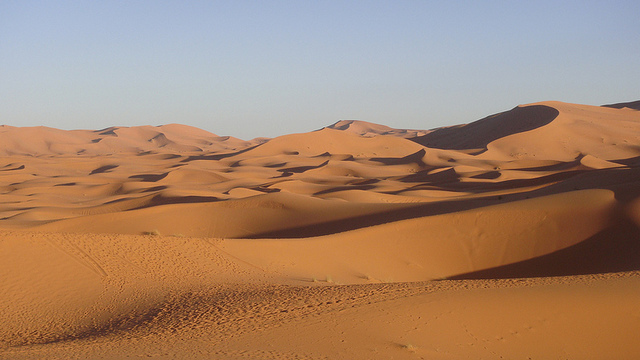 The Sahara can be an inspirational experience at night, with the air being crisp, clean and clear, the stars being so close you can almost touch them and a silence that is deafening. Day 1:	First we cross the spectacular Tizi n’Tichka Pass of the High Atlas mountains. You will pass through many Berber villages, and once in the desert, riverside oasis and barren hillsides are clustered with Kasbahs. After lunch we drive further to Valley of the Roses, with beautiful views of the Dades valley, valley of a thousand kasbahs. Overnight in Dades. Day 2:	After breakfast we drive to Todra Gorge and after a short stop there we drive on to "Auberge du Sud" at the dunes of Erg Chebbi. 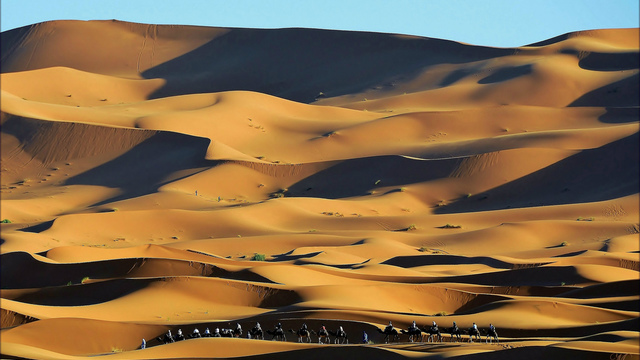 We will arive there around 4 and after a short break you will ride camels into the dunes, where you will spend the night in berber tents. After seeing a beautiful sunset you will enjoy a fantastic dinner. Day 3:	After viewing the most beautiful sunrise and having breakfast at the camp site you will ride the camels back to the auberge. From there it will be a long day driving back to Marrakech, again via Tichka pass.